Our New Golf Mindset: Expect The World. Accept The Results. This Golf Aid Helped Major Winners Justin Rose, Rory McIlroy, & Jordan Spieth! It Can Help You! Golf is Like Blackjack. You Need a Strategy If You Want to Succeed! Bandon Dunes Should Be On Your Golf Bucket List, But There’s More in Oregon! 641: The iconic image of Payne Stewart winning the 1999 U.S. Open is etched into our collective golf memories forever. Did you know that he only won twice on the Tour between his 1991 and 1999 US Open victories? One of those wins was also in 1999, which is the year he switched to a SeeMore putter. SeeMore was also the winning putter for both of Zach Johnson’s Majors at the 2007 Masters and his incredible clutch putting performance at the 2015 Open Championship at St. Andrews. SeeMore can help you too because of their patented RifleScope Technology (RST) which allows you to set up to the putter perfectly each and every time in relation to your intended target line. 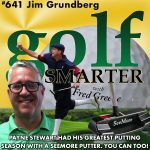 Our guest is the CEO of SeeMore, Jim Grundberg who talks about the history and design of the putter and how it’s heaven sent for amateur golfers. 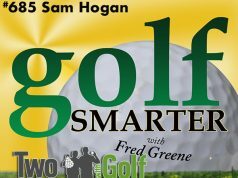 Tell them Golf Smarter sent you at SeeMore.com and get a free hat or t-shirt. Pay only $25 to have your initials etched in your new SeeMore putter (normally $40). This episode of Golf Smarter is brought to you by Peter Millar Golf. Head over to PeterMillar.com/GOLFSMARTER to check out some of my Peter Millar favorites. Use this link and you’ll receive complimentary shipping and a free hat valued at $30! Peter Millar is a premium American lifestyle brand featuring a wide range of casual sportswear, tailored menswear, and luxury performance golf apparel. Next articleGolf is Like Blackjack. You Need a Strategy If You Want to Succeed! Smarter Podcasts Network and a production of Greene Creative. Entries submitted by 11:59 PT Sunday (2:59PM ET Monday) will be entered for the current and all subsequent giveaways for 2019. One entry per e-mail address per week. You can submit a new entry each week to increase your chances of winning. Winning a prize does not preclude you from submitting new entries or winning another contest. Must provide a valid mailing, email address and phone number. A shipping surcharge may apply to shipments made outside of the Continental United States. You will have the option to decline the surcharge in which case the prize will be forfeited and offered to an alternate winner. Free shipping of prizes to the Continental United States. Shipping charges may apply for prizes shipped to other areas. We will contact you to confirm whether or not you agree to the shipping charges. Required to contact you in the event that you are a winner. If your prize is a golf club. 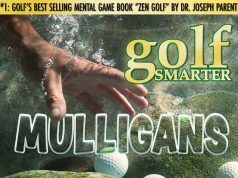 If the prize that you win is a golf glove, which hand do you wear your glove on. 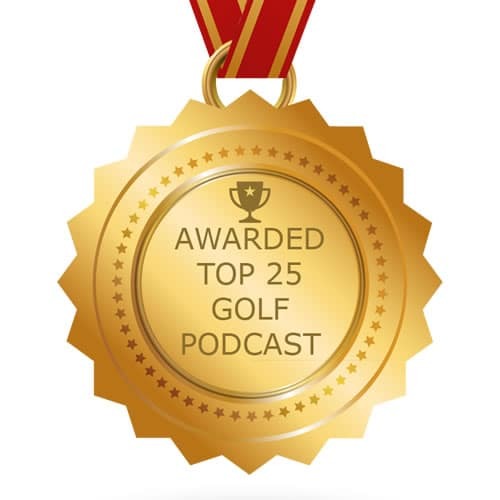 Submitting a contest entry automatically signs you up for the Golf Smarter Mailing List. You can opt out at anytime. If you are a winner, Golf Smarter reserves the right to publish your Name, City and State as stated on your entry on our website.